Yahoo! has released iPhone app for Search and “Sketch a search”. Yahoo! search app also has a voice search option. Whats new in Yahoo! Mail ? First of all, I am not seeing any kind of advertisement in my Yahoo! Mail , for past few days. (which used to flash much before). 1. The Yahoo! Mail applications. 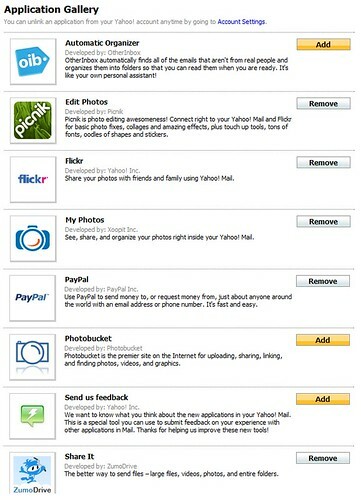 There are many useful applications like flickr, picnik (photo editor), photobucket, etc. If you dont see the applications in your left side navigation bar (like below), request here. 2. Even the Yahoo! 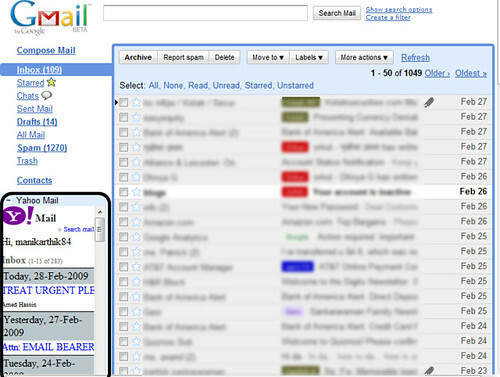 Mail classic has got the Messenger now, and also you can send text messages to mobiles. Then Yahoo! Connections is slowly being integrated with the Yahoo Mail. I think, Yahoo! 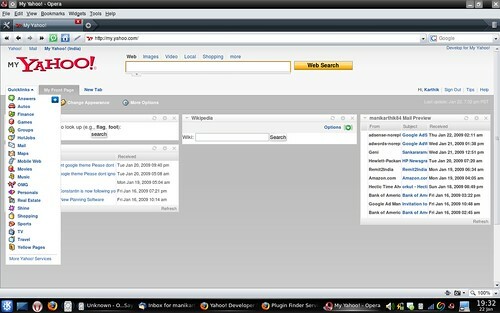 Buzz also will soon be integrated and can be accessed from Yahoo! Mail. Read the Official announcement from Yahoo! Few days back, Yahoo! redesigned its home page. We can now add multiple apps to the Yahoo Home page, which are much different than the gadgets in My.Yahoo.com page. Top 10 Popular searches are now listed in the home page. There are apps available for Yahoo mail, GMail, Facebook, BBC News, eBay, MySpace, Yahoo! 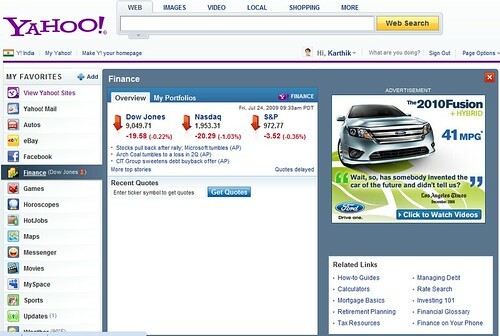 Finance, Flickr, Yahoo! Movies, Horoscopes, etc. Yahoo Image search results page is little changed, when you search for any locations. If you search for any City or Country in Yahoo Image search, you get a list of places to visit in, or near the place you search for. This also gives a list of images of the Points of Interest, near the place. 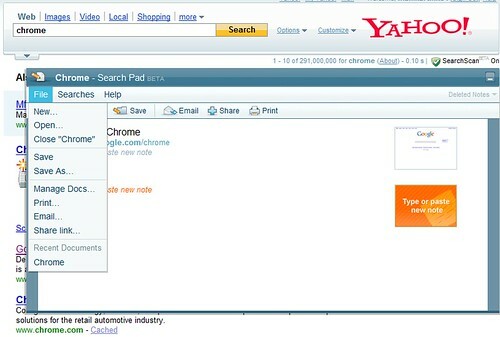 Yahoo has released a new feature called Search pad. It keeps track of all the searches you do, as well as the sites you reach. You can also add a note to the search result. This Yahoo search pad, doesnt work in Google Chrome browser. My.Yahoo.com – Personalized home page from Yahoo! 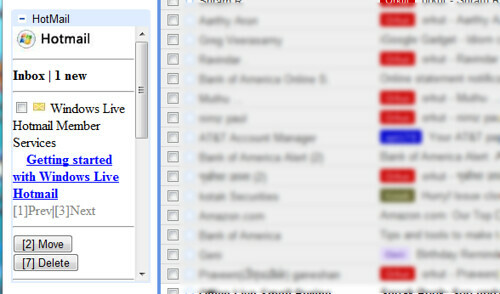 We can add many of the default gadgets available from Yahoo! which includes some news feeds, weather, finance, Yahoo Maps and more. In addition to these gadgets, there are some Open Apps (BETA) available for adding to our personalized page. For developers, Yahoo has an application editor for My Yahoo!, where we can build Open apps and test it. As of now, we cannot publish the apps for other users in the world (Publish button is disabled). But we can test/use the app ourselves, invite friends to add/use in their My Yahoo! page. SpotM – Social Networking site from Yahoo ! Update: Yahoo has shutdown Spotm.com , and it is no more existing. spotm – Yahoo! 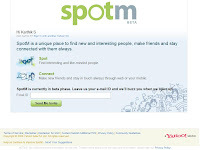 has released a beta version of it social networking site SpotM (BETA). It was developed and tested at Bangalore development centre of Yahoo!. Now the site is open only for Indian users (and are invited). From the below screenshot, it appears that Spotm will be accessible from mobile phones. See how it competes with Orkut and Facebook.